Our aim is to provide a safe, homely and caring environment with a warm friendly atmosphere. Elkington House is registered for 25 residents. A high level of personal care is offered with above average staffing levels. A member of SEECHA (South East Essex Care Homes Association) and registered with Care Quality Commission – staff are trained to be sensitive to the needs of elderly people. 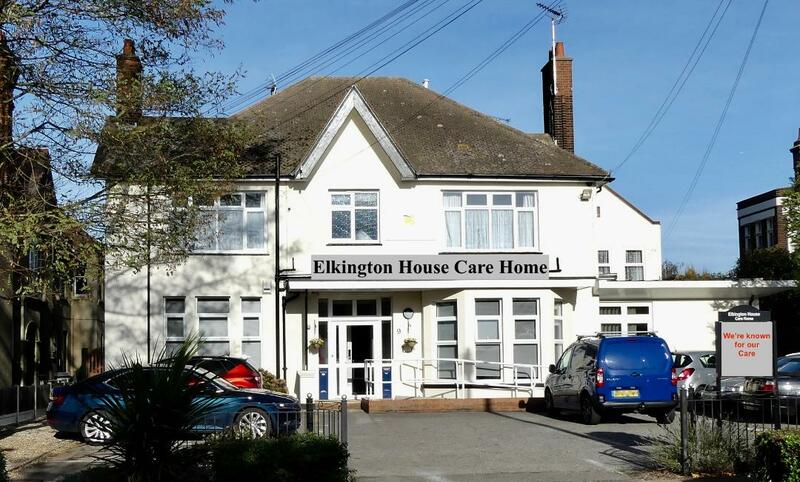 Elkington House Care Home is owned and supported by Southend Blind Welfare Organisation Charity and is registered with Southend-on-Sea Borough Council and Essex County Council. Contact us to discuss your care requirements, we may be able to help with short term and respite care as well as permanent placement. Warm and cosy personalised bedrooms. Traditional home cooking prepared on the premises with a choice of menu. 17 Single and 4 double rooms, many with en-suite facilities. Two lifts, lounge, day room and garden lounge. Religious services can be provided. Individual phone and TV’s can be provided by arrangement. Ramp to large garden with guide rails. Hairdresser, chiropodist and optician visit regularly. Fees include personal care, catering and laundry. Contact manager Sarah Richardson for an information pack or to visit the home and talk to residents and staff. Many, many thanks for all the loving care you showed Dad during his short stay at Elkington House. Whilst with you many of his friends came to visit and they have all individually said to me what a wonderful care home and how lucky Dad was to spend his last few months with. Dear Sarah and all the wonderful staff at Elkington House. Just wanted you all to know I truly appreciate how amazing you’ve all been with my Nan. The Love, care and attention you’ve shown her has been nothing short of outstanding. Everything from the bubbly atmosphere in the home, to the beautiful food the kitchen staff cook, has been fantastic! Thanks for always making me feel welcome and the rest of my family too… Most importantly, thanks for making Nan’s last few years very happy ones!!! Thank you never seems to be enough to express our feelings for the love and care you gave my mum and us on our visits to see her. You made mum’s last few years a warm, friendly and exceptionally caring.